We all feel stressed at times. After all, it’s a part of life. 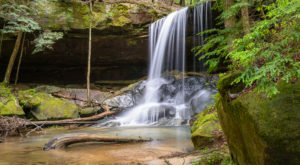 Thankfully, Alabama is home to many beautiful places that help us escape the stresses of everyday life, including the nine places listed below. How many of them have you visited? 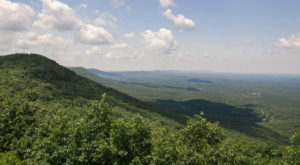 Cheaha State Park is located atop Cheaha Mountain - Alabama's highest natural point. From this mountain, you'll experience the most breathtaking views. 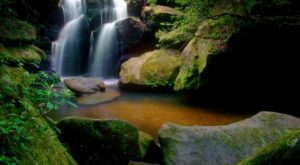 Besides hiking, visitors of Cheaha State Park will enjoy fishing, swimming, camping, etc. 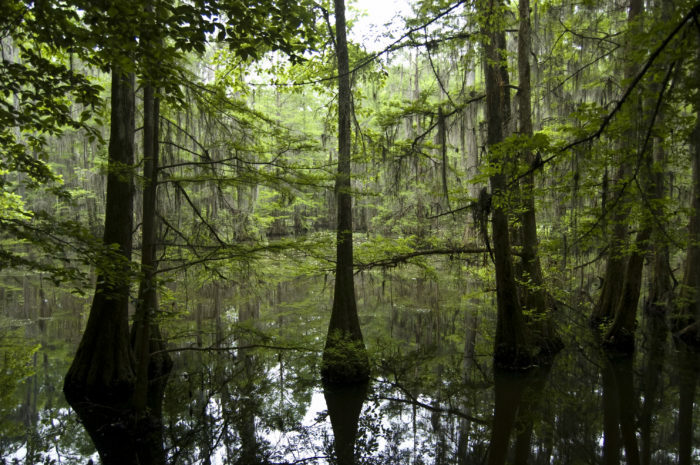 Turkey Creek Nature Preserve covers nearly 500 acres and is one of Alabama's top outdoor spots. In addition to hunting and fishing, this scenic preserve is also a popular location for swimming. 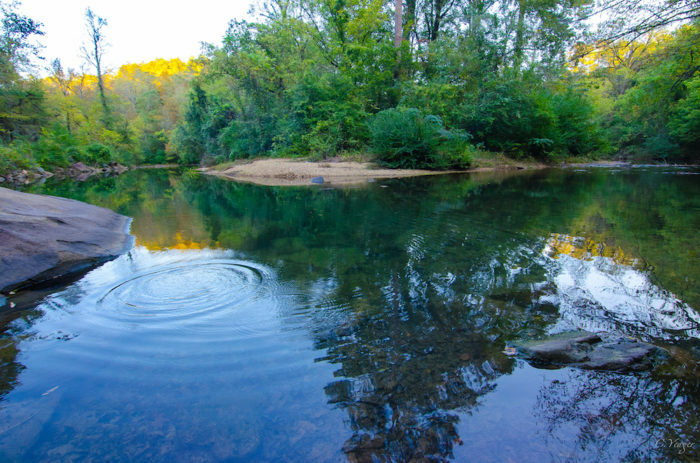 Its "Blue Hole" attracts swimmers from all over the area and beyond. 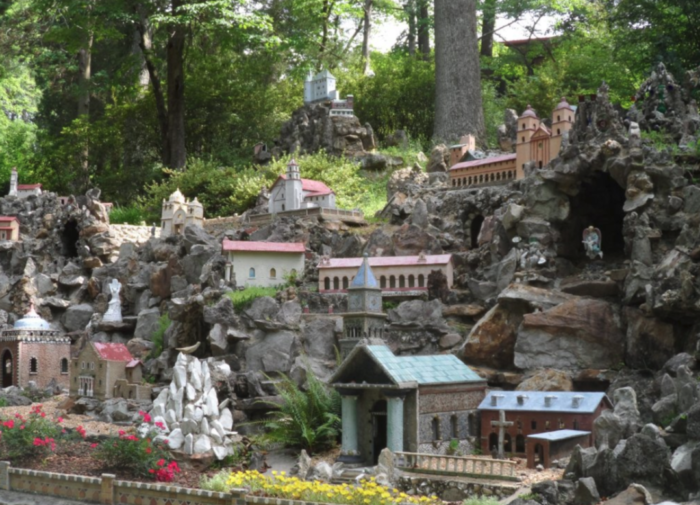 Ave Maria Grotto, which is known as "Jerusalem in Miniature," is a unique, four-acre garden that features 125 miniature reproductions of famous religious structures. 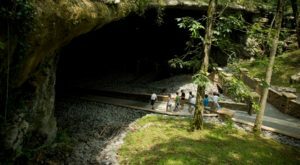 This beautiful outdoor attraction is a definite must-see for all ages. 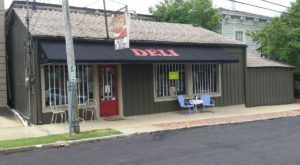 Weathington Park covers 13 acres and overlooks the beautiful Tennessee River. 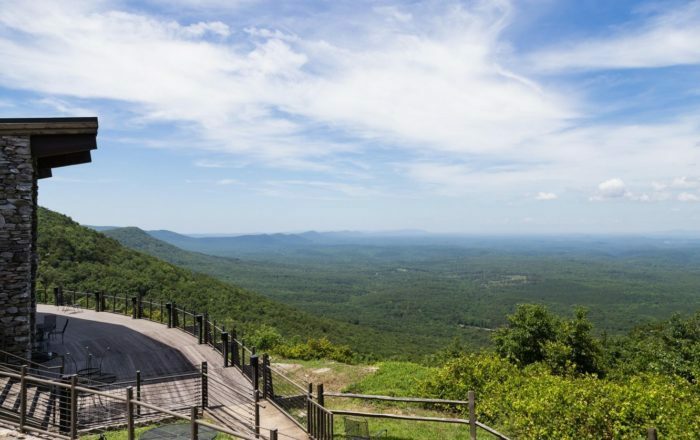 It's located off the beaten path in a tiny town outside of Scottsboro, and it offers the most incredible view. 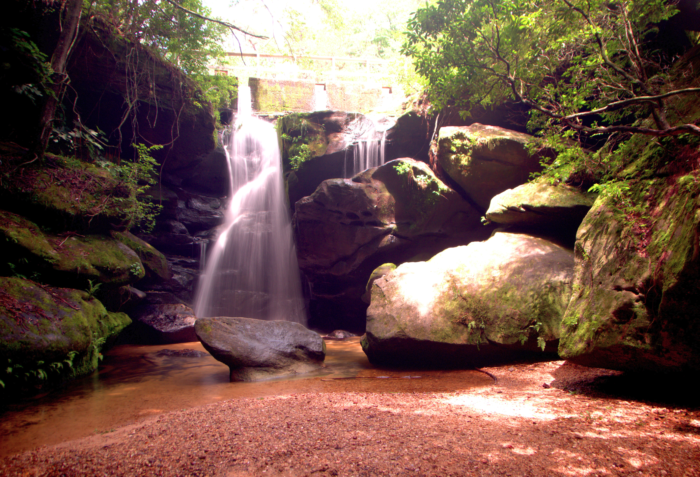 Dismals Canyon, which covers 85 acres, is one of Alabama's most beautiful nature spots. Its most unique feature is that it's one of the few places in the world where dismalites (glowworms) live. 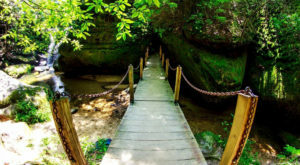 The natural scenic beauty of Dismals Canyon will most definitely take you away from it all. 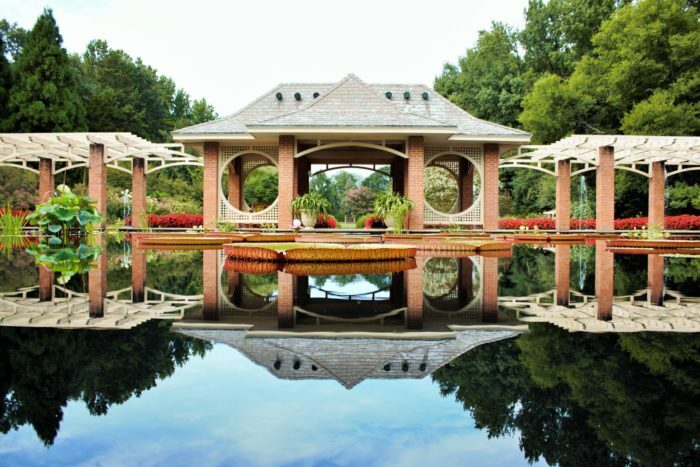 Huntsville Botanical Garden is one of Alabama's most beautiful gardens. Covering more than 100 acres, this botanical garden is open year-round and is home to the nation's largest seasonal butterfly house. In addition to several specialty gardens, Huntsville Botanical Garden also features an array of nature trails. Perry Lakes Park, which covers approximately 600 acres, is a beautiful hidden oasis. With four oxbow lakes and miles of interpretive trails, this scenic park will most certainly bring you closer to nature. 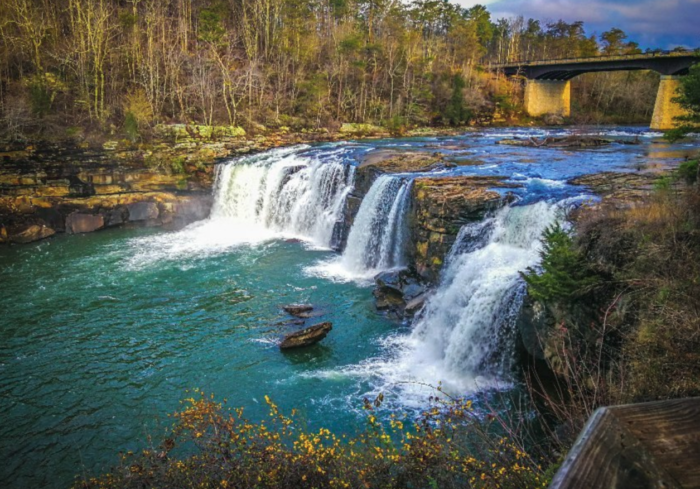 Little River Canyon National Preserve is one of the South's most beautiful nature spots. 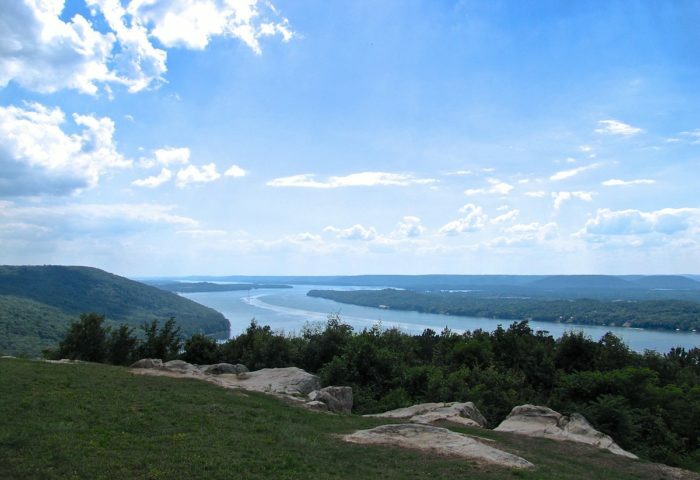 Located atop Lookout Mountain, this scenic preserve features waterfalls, hiking trails, camping spots, and more. 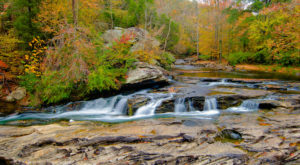 Little River Falls (pictured) is the preserve's main feature, and it receives visitors from all around the world. 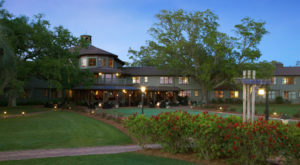 Wilderness Park is one of the Southeast's most unique parks. 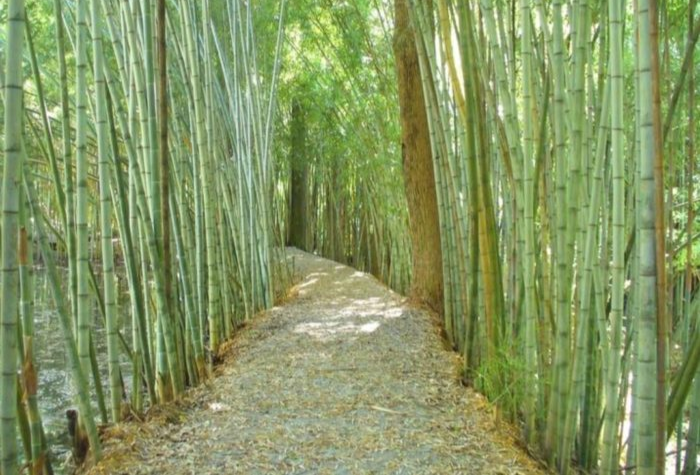 It covers more than 26 acres and has its very own bamboo forest hidden within it. Some stalks are as tall as 60 feet. A visit to Wilderness Park is perfect for escaping the hustle and bustle of everyday life. 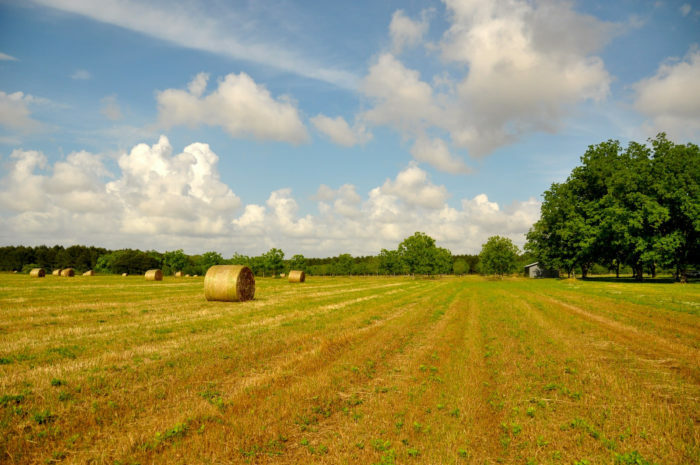 Where in Alabama is your favorite place to escape the stresses of everyday life? Let us know in the comments! For a list of Alabama’s most surreal places, be sure to check out our previous article: These 10 Surreal Places In Alabama Have To Be Seen To Be Believed.